Our highly skilled craftsmen execute perfectly spaced stitches in the ‘shoe upper on the last’ position, creating the creaseless elegant shoe. Leather has pride of place at Yetu The two are inseparable. Leather is part of our DNA. It’s part of the soul of the company That\'s why we have been providing leathercrafters with quality leather. A unique collection of our hand crafted beaded leather sandals Find out everything you need to know about Leather crafting from the experts through our website. 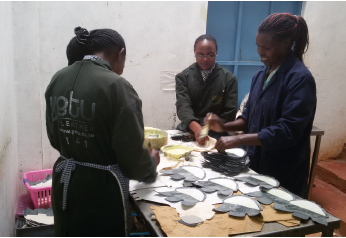 Materials that have the appropriate properties and high quality are attractive and a necessity to ensure that the end product maintains a high standard. we have quality leather working machinery for the Leather Trades. Top quality leather machines made especially for the leather worker. Visit Our Careers Blog. Stay on top of what\'s happening, get information, and learn about our people and career opportunities. 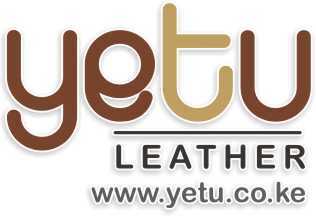 Yetu Leather is a Kenya’s leading is a footwear and fashion accessory manufacturer Located in Limuru. Our diversified product basket comprises a large range of footwear, finished leather and garments, all of which reflect contemporary trends in design and color palette.